The 2018 New York City Marathon took place on Sunday, and the prominent foot race once again made use of biometric data to help drive spectator interest. Viewers of the marathon were able to look at runner biometric data powered by the firm Tata Consultancy Services (TCS), based out of India. TCS also sponsors the race. 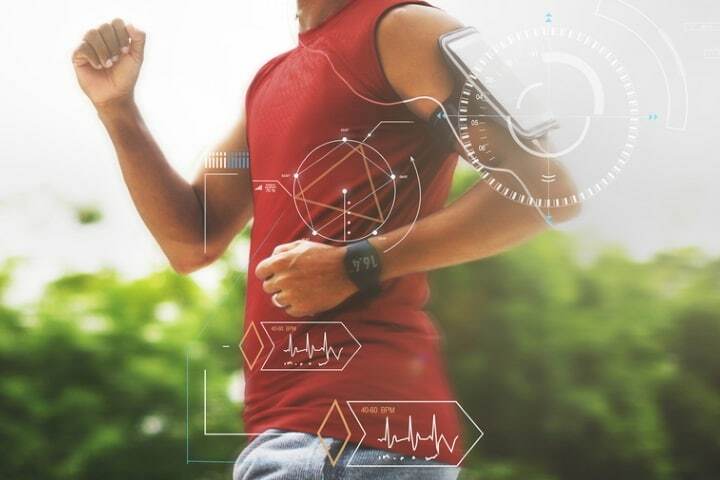 Just 10 of about 50,000 runners wore a small electronic device that gathered the data in real time for in-race analysis. “This extra layer of info takes spectating to a whole new level,” said NYC Marathon officials. The use of the data is still in its infancy, but that could change as the sports betting industry evolves in the years ahead. The regulated market is still minuscule compared to its potential. The reason for the data collection was to make watching the race more compelling for the estimated 650 million homes around the world the telecast was available in this past weekend. “We have the world’s best athletes leading the way for 50,000 amazing stories, together on the streets of the world’s greatest city with over a million cheering spectators. It’s New York City’s biggest block party and the broadcast will cover it all. Now that’s great TV,” read a statement from Peter Ciaccia, race director of the TCS New York City Marathon. Ciaccia said the use of data on heart rate, skin temperature, breaths per minute, and so on, gives those commentating on the race an “entertaining way” to analyze an athlete’s performance. The data is obviously most interesting for running aficionados, but it would be of great interest to bettors should betting on marathons become popular in the future. In late October, it was announced that ESPN extended its broadcast deal with the NYC Marathon to 2022. Imagine having a quarterback’s biometrics before a crucial drive before you place an in-game bet. There’s already biometric collection on NFL players, but it’s not used for helping increase fan engagement — like the NYC Marathon uses it for — and obviously not for promoting betting on the game. The NFL just recently relaxed its rules on sponsorship deals between teams and gaming companies, so we’re obviously a long ways away from any synergy between biometric data and NFL wagering. Biometric “wearables” are also completely voluntary. In 2017, the NFL Players Association (NFLPA) forged a partnership with a “human performance company” called WHOOP. Though the alliance wasn’t about sports betting, there could eventually be interest in such data for live broadcasts. The NFLPA would have to sign off. “WHOOP data has been shown to optimize training and recovery, correlate with in-game performance, and reduce injuries,” said the company in a 2017 presser. The NFLPA’s deal with WHOOP followed a similar alliance between the startup and Major League Baseball. Earlier this year, the NFL’s Competition Committee took a big step further into the world of big data when it approved a plan to release in-game player-tracking data on every NFL player to all 32 franchises. Previously, teams only had access to tracking data (thanks to a shoulder pad sensor) for their own players. The legal and ethical ramifications of not only collecting biometric data, but also making it public, are extremely complicated. Biometric data could become one of the most contested components of a widespread regulated sports betting industry in America.